Description:Part of Parkhall Colliery alongside the mineral line, the Adderley Green and Bucknall branch line. 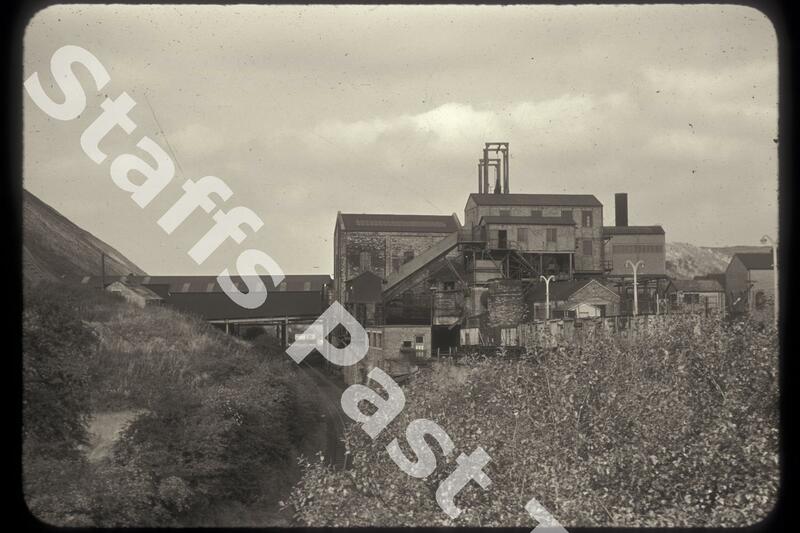 In the photograph is the winding gear for the shaft and the "screens", where coal was sorted from stone. The spoil tip is off to the left. 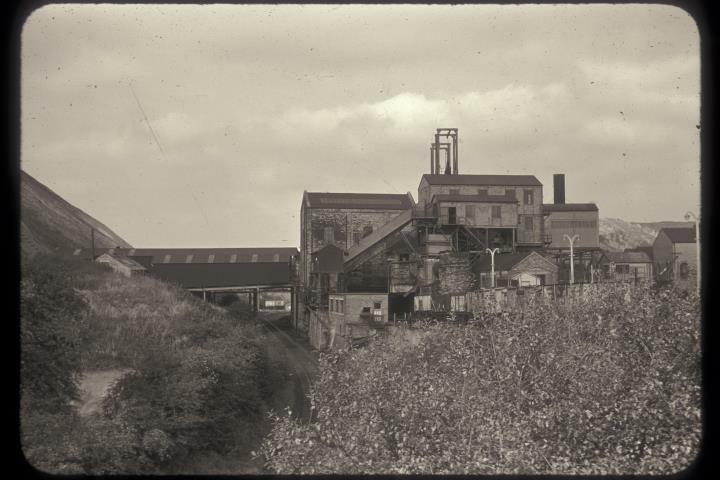 Opened in 1860, the colliery closed in 1962 after the underground workings were merged with Florence Colliery. The site is now an industrial estate.